Client Brief : The client is into the business of providing strategic expertise to small and medium businesses in Enterprise Telecommunication Equipment industries. They help in developing their new services, channels and applications in markets. They wanted to create a website which reflects this. They wanted a site which was modern to look at and which provided all the information to the user visiting the website. 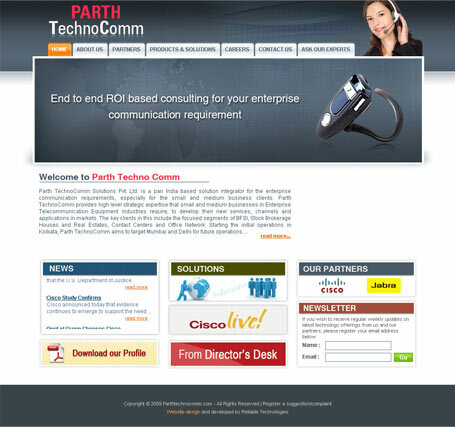 Solution Provided : The website - www.parthtechnocomm.com has been designed and developed by us keeping in mind the requirement of the client. The design of the website has been created keeping in mind the target audience it would be targetting.